Woman training at gym with personal trainer. 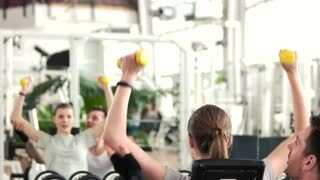 Woman training with dumbbells with a help of fitness instructor. Elderly man lifting dumbbell at modern gym. 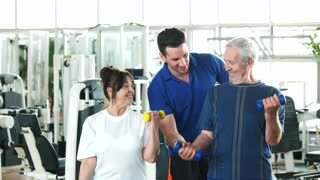 Smiling senior man working out with weight at fitness center. Retirement and sport. Couple of seniors lifting dumbbells at gym. Friendly personal trainer at a fitness center helping to seniors. Fitness trainer showing thumb up. 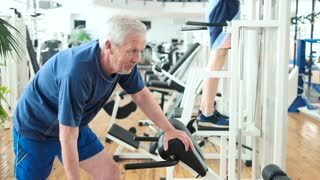 Benefits of strength training exercises for seniors. Personal trainer helping lift dumbbells to seniors. 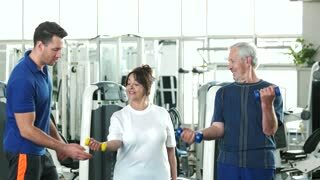 Happy senior couple lifting dumbbells while male instructor guiding them. Easy strength training workouts.